Congratulations Greyson Tempel (GCHS Quarterback) for being invited to the Shrine Bowl! Here is the music video compilation of GCHS Buff Robotics BEST 2013. This is “Seven Sister” from cozy comfort this class is offered Saturday following Saturday sampler and also on Wednesday dates are available when you sign up. Garden City Recreation Commission is excited to announce the return of Instructor, Marla Hoffman, to their Youth Dance program! GCCC Track & Field have their new jerseys for the season, they look nice! Citizens Police Academy starts soon. 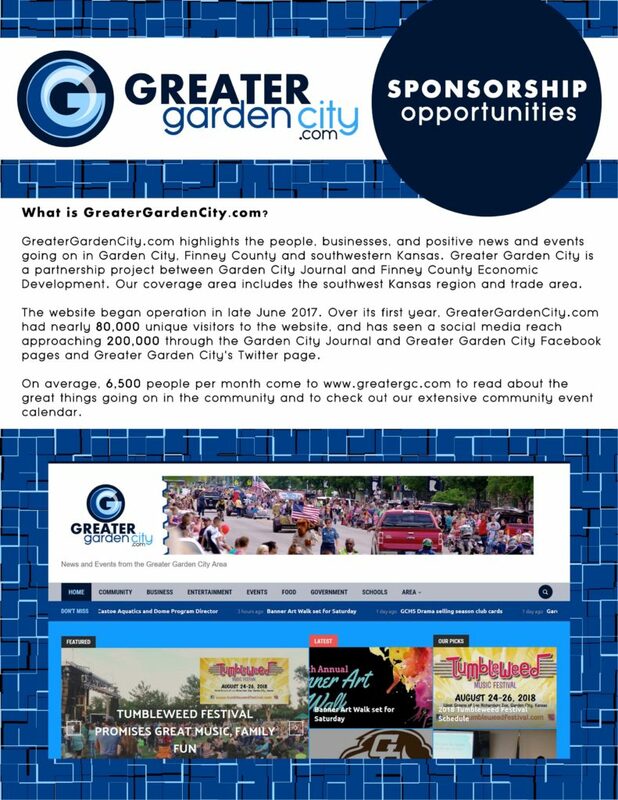 Garden City Arts will host its annual meeting at 6:30 p.m. Tuesday, January 21, at the Gallery, 318 N. Main St.
GCHS Bowling opens their season today.